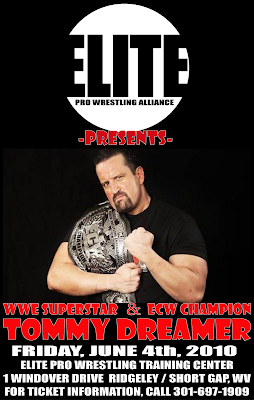 ELITE PRO WRESTLING ALLIANCE signs ECW CHAMPION TOMMY DREAMER!!! The Elite Pro Wrestling Alliance is proud to announce that WWE Superstar and former ECW World Champion TOMMY DREAMER has been signed for "NIGHT OF THE ELITE III" to be held at the Elite Pro Wrestling Training Center on Friday, June 4th, 2010. Tommy Dreamer will headline the event. Other wrestlers signed for the show include Elite Pro Wrestling Alliance Champion JAKE "THE MACHINE" DAVIS, FLEX PHENOM, AIDIEAN, "HIGHWAYMAN" LESLIE LEATHERMAN, "THE LIVING NIGHTMARE" GRIFFEN with DR. CRANE and "THE FINAL VERDICT" VINCENT VEGA. Other superstars and matches will be announced in the coming weeks! For ticket information, call 301-697-1909. ELITE PRO WRESTLING ALLIANCE ANNOUNCES NEXT SHOW DATE! 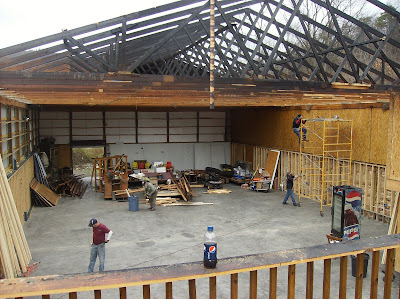 The Elite Pro Wrestling Alliance is proud to announce that the next live event will be held at the newly renovated and remodeled Elite Pro Wrestling Training Center in Ridgeley / Short Gap, West Virginia on Friday, June 4th, 2010. This show marks the first live event from Elite Pro since an electrical fire caused over $150,000 in damages to the facility last August, just days after a sell out event featuring WWE Superstar "Hacksaw" Jim Duggan. The new facility is a vast improvement over the previous building, boasting both a new outdoor patio and an additional 2000+ square feet of space inside. "NIGHT OF THE ELITE III" is already generating a lot of buzz on the indy scene despite still being a couple of months away. Already signed for this event are Elite Pro Wrestling Alliance Champion JAKE "THE MACHINE" DAVIS, "HIGHWAYMAN" LESLIE LEATHERMAN, "THE LIVING NIGHTMARE" GRIFFEN w/ DR. CRANE and Indy Superstar FLEX PHENOM! Other announcements as well as additional show dates will be announced in the coming weeks so check back often! If you are interested in becoming a professional wrestler, call 301-697-1909 to set up an appointment to visit the training center. 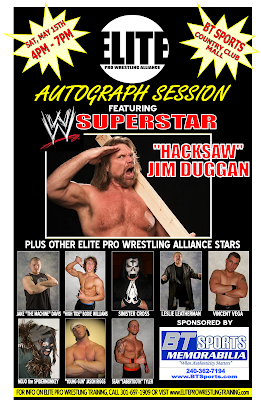 Don't forget to attend the free autograph session featuring the Elite Pro Wrestling Alliance roster and Elite Pro & WWE Superstar "HACKSAW" JIM DUGGAN! The signing will be held on Saturday, May 15th from 4 to 7pm at the BTSports Shop at the Country Club Mall in Lavale, MD! ELITE PRO WRESTLING TRAINING CENTER REOPENS! After a full renovation that has added an additional 2000 square feet of space in the training center as well as an over 2000 square foot outdoor patio, The Elite Pro Wrestling Training Center will be opening for training in one week! Training is set to begin on Sunday, April 11th with training sessions scheduled 3 days per week. While many indy leagues offer "training" that takes place once every month or two for a couple of hours, Elite provides it's students with the opportunity to train up to 15 hours per week! "We are very proud to offer more in ring time to our students every week than most guys can get in a year"
If you are interested in becoming a professional wrestler and would like to learn more about joining the Elite Pro Wrestling Training Center, call us at 301-697-1909 to set up an appointment. You will be glad you did! 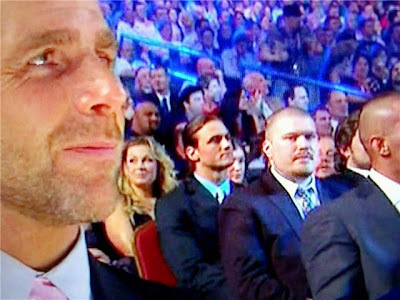 ELITE PRO WRESTLING ALLIANCE CO-OWNER & HEAD TRAINER JAKE "THE MACHINE" DAVIS A FRONT & CENTER GUEST AT THE WWE 2010 HALL OF FAME CEREMONY! Elite Pro Wrestling Alliance Co-Owner and Head Trainer Jake "The Machine" Davis sat front and center for the 2010 WWE Hall of Fame Ceremony in Phoenix, AZ last saturday as the greatest professional wrestlers in the world gathered to induct the newest class of legends. 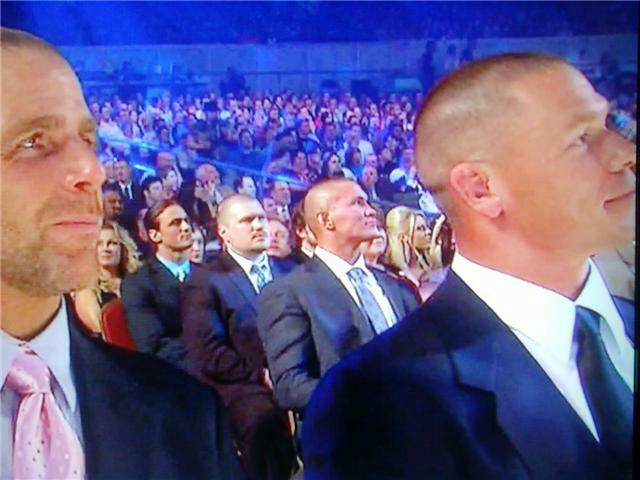 Pictured left to right: "The Heartbreak Kid" Shawn Micheals, Drew Macyntire, Jake "The Machine" Davis, Randy Orton & John Cena. ELITE PRO WRESTLING TRAINING CENTER HOLDS AUTOGRAPH SESSION AT THE COUNTRY CLUB MALL! The Elite Pro Wrestling Alliance is proud to announce that it's training center will be reopening and to celebrate, Elite will be holding an autograph session at the Country Club Mall in Lavale, MD which will be open to the public! 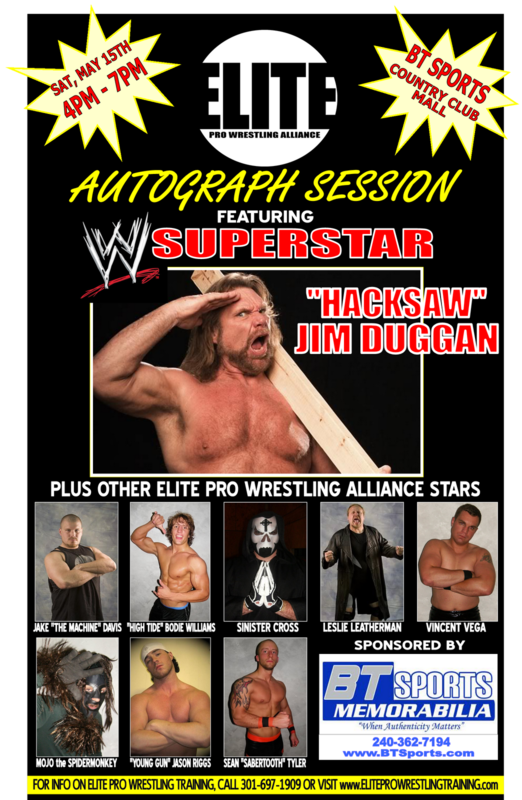 The autograph signing will feature WWE and ELITE PRO Superstar "HACKSAW" JIM DUGGAN, ELITE PRO CHAMPION JAKE "THE MACHINE" DAVIS, "HIGHWAYMAN" LESLIE LEATHERMAN, SINISTER CROSS with DR. DOUGLAS CRANE, MOJO the SPIDERMONKEY, "YOUNG GUN" JASON RIGGS, "HIGH TIDE" BODIE WILLIAMS, VINCE VEGA, and SEAN TYLER. Anyone interested in learning more about becoming a professional wrestler can stop in and speak with the trainers as well as current students to get an idea of what all is involved. Co-Owner George Davis stated "This is a great opportunity for anyone who has ever even entertained the notion of wrestling to get all their' questions answered. While some leagues offer training once every month or so and often have trainers with limited experience themselves, we have certified professionals and offer up to 20 hours per week of in ring training. It's definatly worth checking out." The signing will take place on saturday, May 15th at the BT Sports Shop in Country Club Mall from 4PM to 7PM. For additional information call 301-697-1909. ELITE PRO WRESTLING ALLIANCE FEATURED IN P.W.I. ARTICLE! The latest issue of Pro Wrestling Illustrated's sister publication, "INSIDE WRESTLING" kicks off an article on page 10 which features a segment about the ELITE PRO WRESTLING ALLIANCE! The article mentions numerous members of the Elite roster including Heavyweight Champion Jake "The Machine" Davis, "The Living Nightmare" Griffen, Leslie Leatherman, Jason Riggs, Vince Vega and more. "It's great to be acknowledged by the publication in this way. To be featured in an article that also features some of the biggest names in the business right now... It's really cool." The Elite Pro Wrestling Alliance would like to extend it's sincerest condolences to the family of Eddie "Umaga" Fatu. 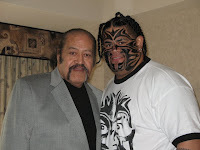 Fatu trained to become a professional wrestler at the "Wild Samoan Pro Wrestling Training Center" operated by his uncles, Afa and Sika. In 1995, with his training complete, he started wrestling for Afa's World Xtreme Wrestling (WXW)before eventually arriving in the WWE. UPDATE: ELITE PRO RIGHT ON SCHEDULE! 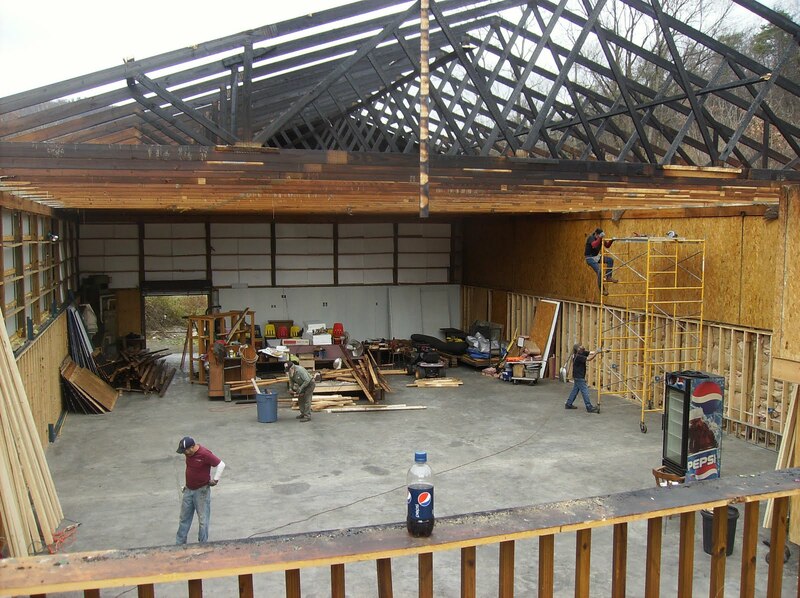 The reconstruction of the Elite Pro Wrestling Training Center & Arena is coming along nicely and is on schedule. While the exact date has not been announced, management is quick to point out that training will be getting under way very soon. These photos were taken over the last several weeks to document the progress of the new and improved training center, which will feature more than twice as much space as before! Other improvements will include a 2500 square foot patio for outdoor events and activities and improved lighting and sound. Anyone interested in training to become a professional wrestler should click on the link on this website. There, you will find many details about our training. If you have any additional questions, feel free to call us. 301-697-1909. 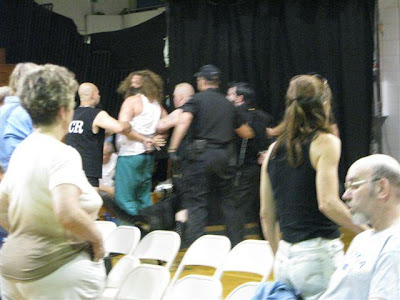 While Elite Pro wrestler "The Living Nightmare" Griffen and his twisted psychiatrist Dr. Douglas Crane have not been seen at a local Berkley Springs, Wv based promotion in several months, it is only now that photos have surfaced documenting the circumstances in which they were suspended indefinitely. 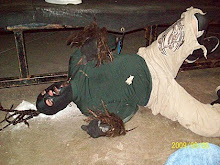 During a match with indy wrestler "Draven", Griffen climbed the scaffolding and chokeslamed him to the ground below. Following that, Griffen pulled two female wrestling fans from the front row and tossed them to the ground in order to grab their chairs to inflict more damage. 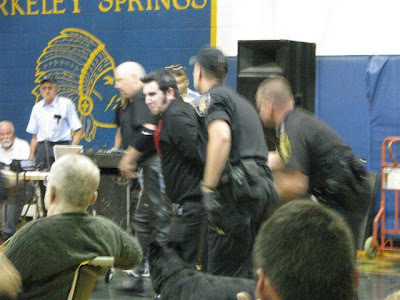 At this point, management called in the Berkley Springs police force who, with the assistance of a number of the wrestlers, finally managed to arrest both Griffen and Dr. Crane and remove them from the building. When asked about the incident, Dr. Crane released this statement. "This is an outrage! It took half of the locker room and Berkley Springs' finest to remove us! We didn't do anything wrong!" If you are interested in becoming a professional wrestler, click on the link located on this page or call 301-697-1909 for more information. 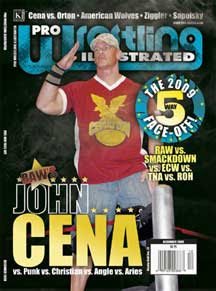 ELITE PRO FEATURED IN PRO WRESTLING ILLUSTRATED......AGAIN!!! Once again, the Elite Pro Wrestling Alliance is featured in the latest issue of Pro Wrestling Illustrated, the flagship magazine which, more than any other, has it's finger on the pulse of the wrestling business. For the 4th time in just 5 months, the official ratings page features Elite Pro's top 10 rankings, along with Raw, Smackdown, ECW, TNA, Ring of Honor, Mexico, Japan and a few other notable independent organizations. Co-Owner of Elite Pro, George Davis is very happy with the coverage. 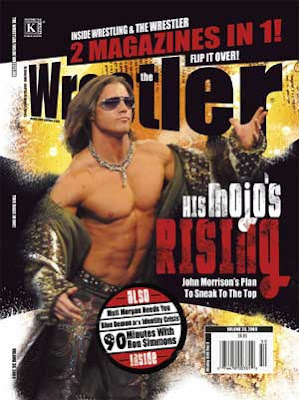 "We have appeared in PWI as well as it's sister publication, The Wrestler more times than any other indy league in 2009. It's something that we are very proud of and appreciate very much"
ELITE PRO FEATURED IN WRESTLING MAGAZINE FOR THE 3RD TIME IN 5 MONTHS! The Elite Pro Wrestling Alliance is proud to announce that the league's current ratings is once again featured in "THE WRESTLER", a sister publication of Pro Wrestling Illustrated which is available all over the world! This marks the 3rd time since July of this year that Elite Pro has been featured within the pages of the PWI family of publications! Pick your copy up today wherever magazines are sold! Also, if you are interested in becoming a real professional wrestler, contact us today! We pride ourselves in offering pro wrestling training by certified professionals on a regular basis (2 to 4 times per week) in a positive and safe learning enviroment! For more details, click the training link on this page or call 301-697-1909 today! ELITE PRO WRESTLING TRAINING CENTER CONTINUES TO REBUILD! 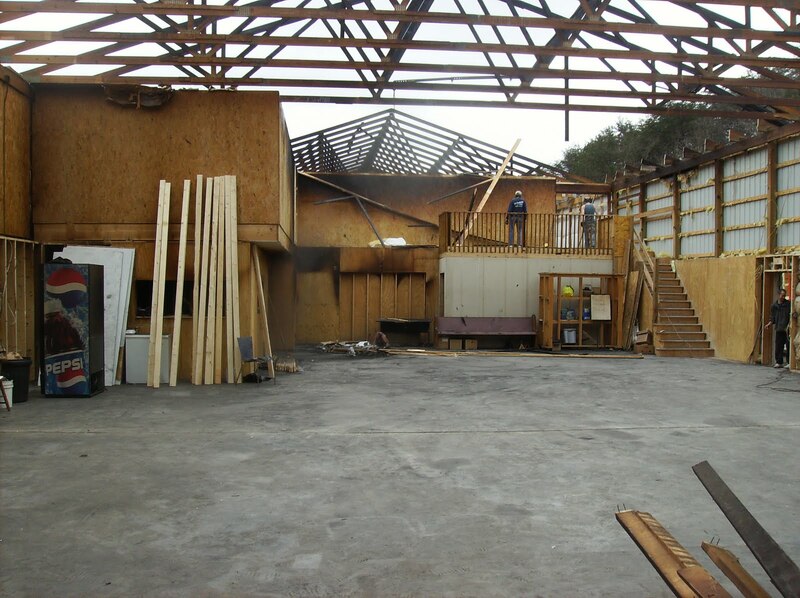 The Elite Pro Wrestling Training Center had a bit of a setback after an accidental fire did damage to a portion of the building. 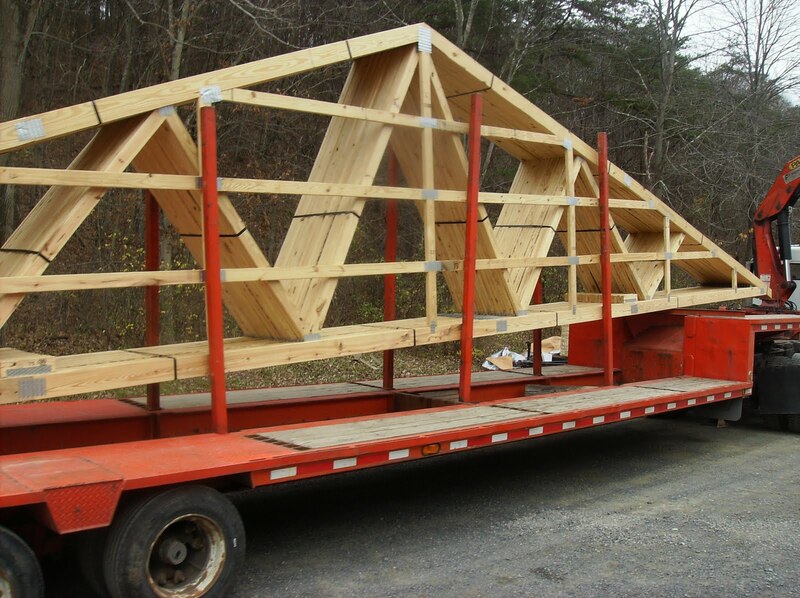 At this time, Elite is proud to say that plans are in effect to repair and improve the training center so that those who are serious about training on a regular and consistant basis by trained professionals in a safe and positive environment may do so. If you are interested in training, please feel free to call 301-697-1909 for more information. Benefits include direct instruction with qualified professional wrestlers up to 4 days per week, guest trainers from all over the wrestling world (including WWE & TNA), opportunities on Elite Pro Wrestling Alliance events (which average 450 fans per event) and so much more! GRIFFEN & HYJINX vs. DAMAGE INC.
ELITE PRO STAR "SASIAN KWAN"
ELITE PRO STAR "THE PATRIOT"
SUBSCRIBE TO ELITE PRO AND GET UPDATES AS THEY HAPPEN!